Chairman of the Centre for Anti-Corruption and Open Leadership, Debo Adeniran, has said anti-graft agencies in the country are too weak to fight corruption. “The best way to fight corruption is to prevent it and that is why I like the introduction of BVN, TSA and others. More powerful Nigerians are being tried, jailed for corrupt acts now. It has never happened before. Though we are not there yet, foundation is being laid for a graft-free country now." He alleged that the Economic and Financial Crimes Commission, Independent Corrupt Practices and Other Related Offences Commission and the police engaged in discriminatory application of rules to favour the elite of the society. Besides, Adeniran said the approach to fighting graft and language used by the agencies saddled with the task of fighting corruption were too far from the understanding of the common man. 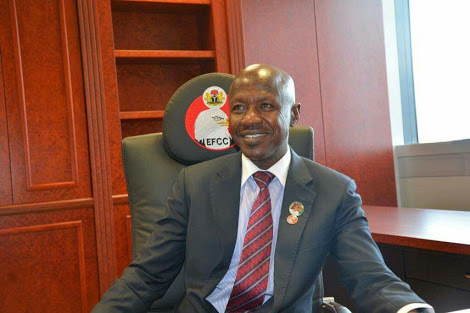 He said, “EFCC, ICPC, police and other anti graft agencies as presently composed cannot effectively fight corruption. They are useful but the commoners don’t understand the language the graft agencies used in doing their job. “They are simply too elitist for the rural dwellers to access and understand. People don’t trust these bodies. At the grass roots, people see corrupt acts every day, but they can’t properly identify and report to the anti-graft bodies. He said the administration of President Mohammadu Buhari fought corruption better than his predecessors with the number of high profile Nigerians going through trial in various courts of the land for corruption-related offences presently.